If you are an American who is planning a trip to Cuba, you've just found the right travel agency. USA CUBA TRAVEL will help you travel to Cuba! More than 100,000 Americans visited Cuba last year. Cuba is among the world's fastest growing travel destinations. Its beaches are the best in the Caribbean, its culture is unique in Latin America, and its history is fascinating. All this, and an exceptionally warm welcome from the Cuban people, make the island so attractive to millions of tourists from around the world. Canada offers you the easiest and safest way to reach Cuba! Canadians were the first to reopen the Cuban tourist industry in the early 1970s. 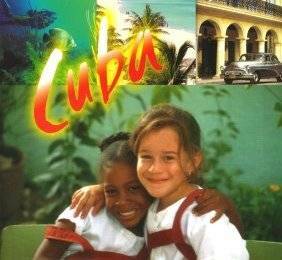 Canada has a strong tradition of promoting tourism in Cuba. We would like to share our experience with you. As travel agents specializing in Cuba, we sell all products available from the Canadian and Cuban tourist industries. The quality of Cuba's tourist infrastructures has improved a great deal over the last 30 years. For example, you don't fly in old Russian planes anymore. Modern Boeing, Lockheed and Airbus planes will bring you to Cuba. These airplanes are operated by recognized international air carriers. You will also be surprised to see many Mercedes-Benz tourist buses on Cuba's highways. Today, Cuba also offers a wide variety of hotels, from cheap government-owned facilities to 5-star world-class resorts operated by the best European chains. During your stay in Cuba, you will enjoy, at your convenience, local dishes or some of the world's finest cuisine. 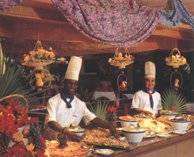 Most hotels in Cuba now hire foreign chefs from Canada, France and Italy to ensure that the food they serve will delight the 1.5 million tourists visiting the island. USA CUBA TRAVEL stands out for its personalized service. We specialize in providing custom-designed travel itineraries. If you are looking to really discover Cuba, USA CUBA TRAVEL is your best option. With us you will experience what's exotic about Cuba and still travel worry free. We provide more than just tickets; we share personal travel experiences and discoveries. Your dream trip to Cuba will become a reality with us, a voyage featuring music, dance, old cars, historic cities, wonderful scenery and most of all close contact with the Cuban people. While preparing for your trip, you can benefit from our 10 years of travel experience in Cuba. Furthermore, during your stay in Cuba, you will be able to take advantage of the combined resources of our agency and reputable Cuban tour providers. As you are well aware, restrictions still apply for Americans traveling to Cuba. We invite you to get appropriate counseling on the matter. Contact us today to benefit from our truly professional travel services.